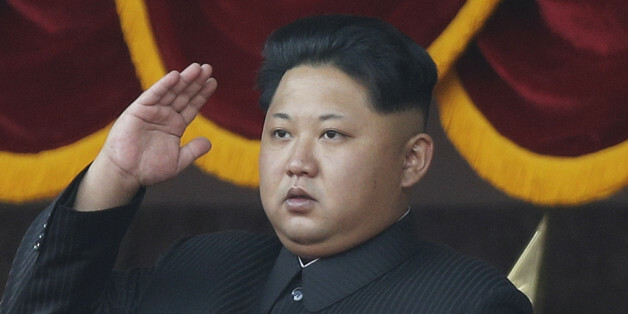 North Korea claims to have successfully tested its first hydrogen bomb. While analysts and scientists test the validity of its claim, what we know for sure is this is North Korea's fourth nuclear test -- the third during President Obama's administration. After North Korea hacked Sony upon releasing the movie "The Interview" in Dec. 2014, Obama pledged to "respond proportionately." What warrants an equally powerful, if not stronger, response to cyberattacks is North Korea's flagrant expansion of its nuclear program. In addition to increased sanctions, the best reprisal to this recent test is the kind of 21st century offensive North Korean leader Kim Jong Un's regime fears most: information fracking. When hit with sanctions after every test, the Kim regime does not flinch. But when South Korea turned on its propaganda loud speakers at the Demilitarized Zone that separates the countries in response to North Korea's mines maiming two South Korean soldiers, North Korea rushed to the negotiating table. Ideological warfare is North Korea's Achilles' heel, and the United States should target it. Traditional Western information campaigns have so far failed to generate much impact in the famously secretive state. But the fracking revolution in the energy field could point the way to a new and successful strategy. Fracking combines advanced technology and clever tactics to liberate large reserves of oil and gas within rocks previously beyond the reach of man. To help convert or collapse the oppressive regime, the U.S. must mobilize an analogous mix of knowledge, innovation and radical techniques to frack North Korea with pressurized bursts of foreign information and democratic ideas. The U.S. must mobilize knowledge, innovation and radical techniques to frack North Korea with pressurized bursts of foreign information and democratic ideas. By employing the magic in the U.S. National Security Agency's box, debriefing North Korean defectors (including growing numbers of higher-level officials) and what has become an essentially porous border with China that sees tens of thousands of North Koreans and Chinese doing business, the U.S. can sponsor information campaigns that pressure for North Korea's liberalization. I've seen firsthand how foreign concepts can both excite and repel the North Korean people. When I was in North Korea two year ago, a young lady asked me for the names of the hottest luxury brands in the U.S. When I started rattling off names like Chanel, Burberry and Louis Vuitton, she laughed and said in Korean, "Jieun Comrade, everyone knows about those! Tell me brands I don't know about!" When I asked her how she knew about these brands, she answered, "Who doesn't?" and pointed to the (probably fake) Burberry label on her collar. Later, she asked why I was studying the Middle East. "I want to learn more about how ordinary Arabs have been trying to become happier" was my polite way of referring to the Arab Spring. This North Korean -- the same lady who had been giggling with me about cosmetics, boyfriends and fashion tips -- yelled that she had no interest in such nonsense. She glared at me and demanded to know my intentions. She knew I was circling the topic of a revolution in North Korea at arm's length, and she snapped. Despite draconian measures, a quiet information revolution is taking place inside North Korea. Every time I let my guard down there, even just a tad, I was immediately reminded that North Koreans cannot do the same. The hundreds of North Korean defectors I have met verified this observation. About 24 million people live in the world's most sealed-off country, where the regime holds a monopoly over information access and dissemination. Radios are manufactured to be tuned only to the state's stations. All media electronics (televisions, radios, DVD players, computers) must be registered with local authorities and are subject to random content checks. All cellphone activity is monitored by the state. International calls are illegal. One of the most heinous "crimes" that a North Korean can commit is to consume foreign media that is not sanctioned by the state -- an act punishable by hard labor and execution. Despite these draconian measures, a quiet information revolution is taking place inside North Korea. Between second-hand Chinese radios and do-it-yourself construction, many ordinary North Koreans use black-market radios to secretly listen to foreign programs such as Voice of America, Radio Free Asia, Free North Korea Radio and Radio Free Chosun. Similarly, North Koreans clamor for the DVD and CD players, cell phones, e-books, movies, news articles and simple computers that are illegally snuck in by defectors and non-governmental organizations. The insatiable yearning to learn new things is a universal hunger that cannot be squelched, even by the Kim regime. Why do North Koreans risk their lives to seek forbidden information and media? The insatiable yearning to learn new things -- to discover our world, to see how other people live, what they eat, how they spend their days -- is a universal hunger that cannot be squelched, even by the Kim regime. Our current policy of "strategic patience" is not going to make this resilient dictatorship go away. Small-scale information access activities implemented by networks of disparate defector groups and commissioned middlemen have cultivated interest in foreign media among swaths of North Koreans, but these spotty campaigns are not sufficient against such a ruthless regime. These information activities must be reinforced by a much more powerful engine with coordinated strategies, expertise, innovative technology and more funding by foreign entities, such as the U.S. government. The North Korean government must change. By marshaling human capital, information networks and North Korean defectors, fracking North Korea can create irreversible cracks in the regime and ultimately create conditions that favor freedom, human rights and dignity. 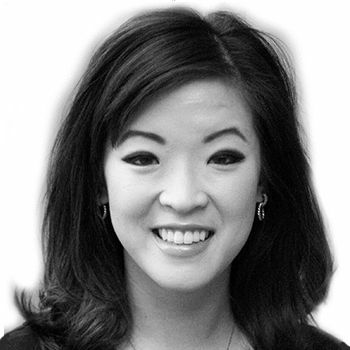 Jieun Baek is a Belfer Center fellow at Harvard Kennedy School of Government. Her forthcoming book tentatively titled "NORTH KOREA'S HIDDEN REVOLUTION: How the Information Underground is Transforming a Closed Society" will be published by Yale University Press in the fall. 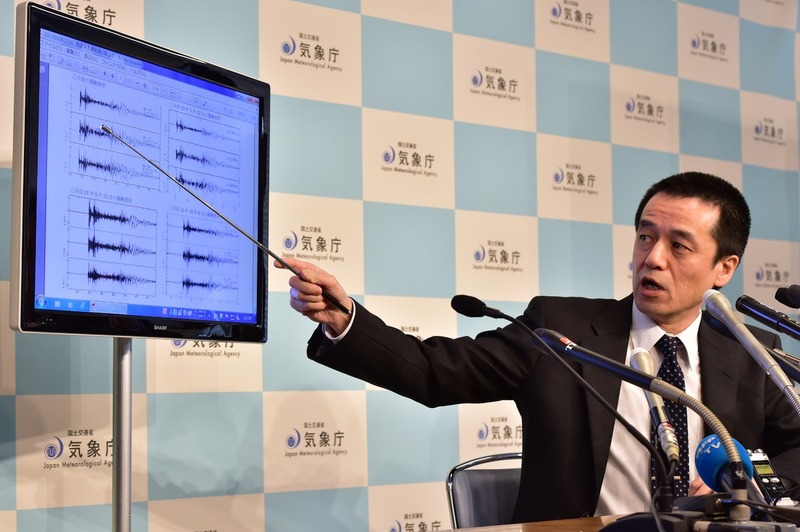 Japan's meteorological agency officer Yohei Hasegawa displays a chart showing seismic activity, (at L top is today's observation result, observed in China) after a North Korean nuclear test, at the agency in Tokyo on January 6, 2016.